Tonight Erin O’Toole, MP for Durham, and candidate for leadership of the CPC visited University-Rosedale. Hosted by Nancy and John McFadyen, it was a wonderful evening that allowed a large crowd to get to know Mr. O’Toole better, and help decide how to vote in the coming leadership selection. Everyone had had a chance to talk to a man who might be Prime Minister one day, one-on-one, which is the reason we at the University-Rosedale EDA go to the effort of organizing these events. We were also honoured by the presence of former cabinet minister and long-serving Conservative MP Barbara McDougall. We were honoured by the presence of Barbara McDougall at today’s event, seen here flanked by Erin O’Toole and Karim Jivraj. Mr. O’Toole spoke optimism inherent in the Conservative message, and how we need to be better at conveying this to Canadians. He explained how his years in Ottawa have taught him that communication and messaging are the key to success both in Parliament and in the arena of public opinion. 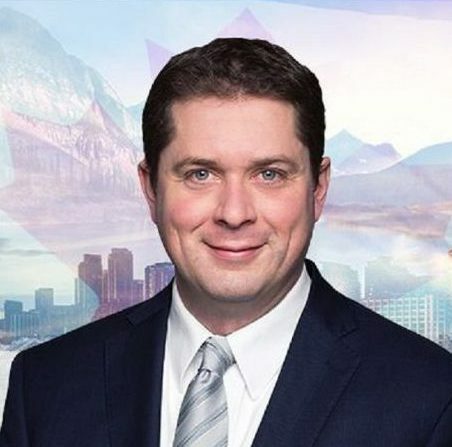 Mr. O’Toole has suggested a number of initiatives to re-engage millennials in the Conservative approach, and pointed out the danger of the CPC being a rural-based party with weak support in the growing urban regions of Canada. Mr. O’Toole spoke to the crowd and took many questions from those in attendance. This will likely be the last leadership event held by the EDA. We would like to thank all those who have attended the various events we’ve organized, starting with Maxime Bernier in May last year, followed by Michael Chong and Kellie Leitch in the fall, Chris Alexander in January, and this month Andrew Scheer and today Mr. O’Toole. Make sure that you are an eligible voter. On April 28th the final list of eligible candidates will be released, and ballots will be mailed to CPC members. On May 27th, we will find out who our new leader is. Although advance voting can be done by mail-in ballot, you can also attend the Leadership Event at the Toronto Congress Centre, May 26-27, vote on the 27th, and stick around to see who the winner is. More information can be found here.